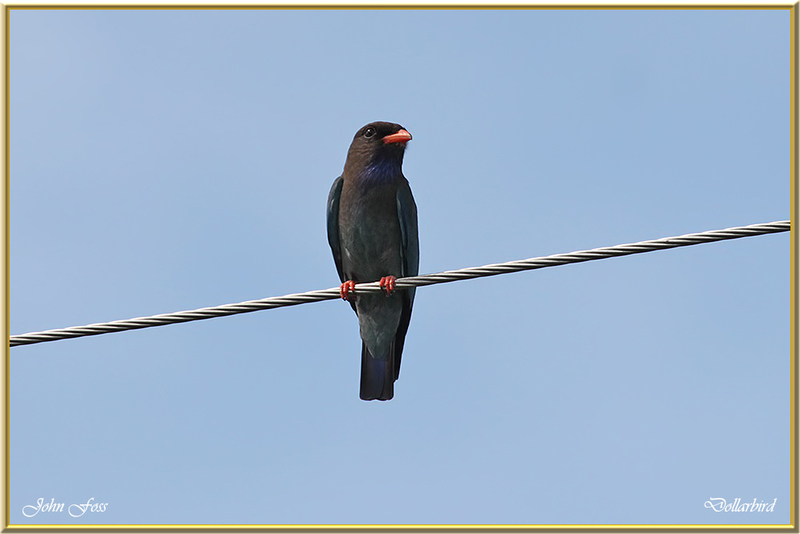 Dollarbird - so called because of the silver dollar pattern seen on the wings during flight. 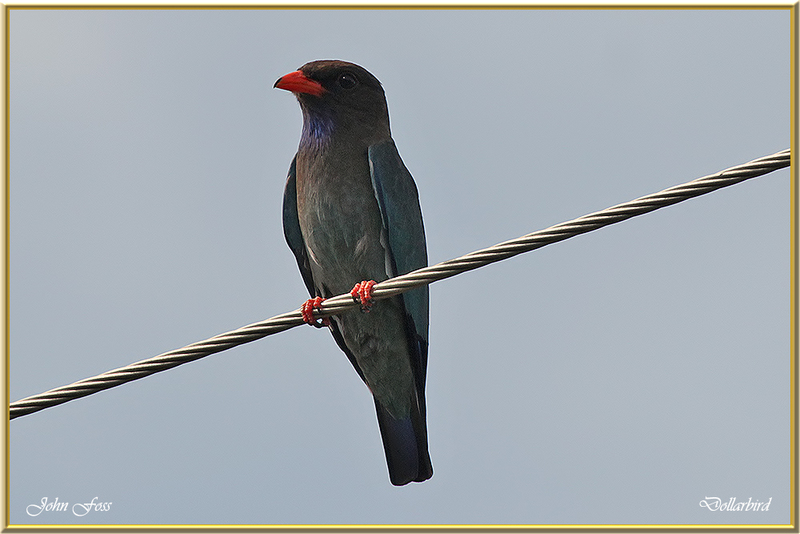 They inhabit forest and woodlands where they sit perched waiting for passing flying insects. They visit Australia from New Guinea each year to breed. Photographed in Bundaberg Australia during October.